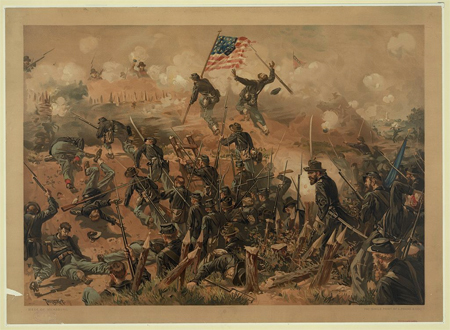 Today in History–May 19–the Library of Congress features the Union siege of Vicksburg, Mississippi, begun on this day in 1863 under the command of General Ulysses S. Grant. By mid-June, nearly 80,000 Union troops had virtually sealed off the city. But it would take a few more weeks before Confederate forces surrendered on July 4. With the victory, the Union regained control of the Mississippi River, geographically dividing the Confederacy. Find out more about this Civil War campaign by visiting the Today in History section, then click the links below to access primary sources related to the battle and the war.